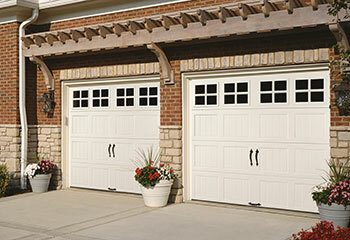 We specialize in performing anything from opener repair to spring replacement and even regular garage door maintenance. If you are looking for a reliable service provider to help you out, check out the latest projects below and see why we're the team for the job. Customer Issue: Track broken from a bump with the car. Our Solution: Our experts measured and marked where the original track was after carefully removing the garage door to get it out of the way. 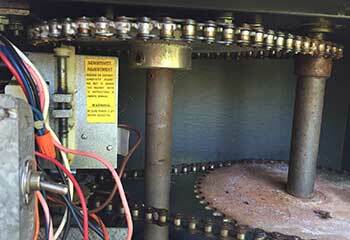 The original tracks were unscrewed and taken away so the new tracks could be installed. 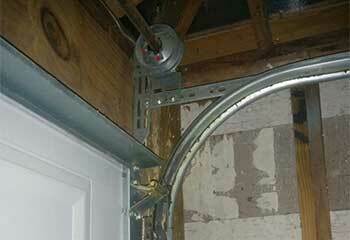 Our Solution: We’ve assembled the out-of-place shaft, spring and drum directly above the door opening. 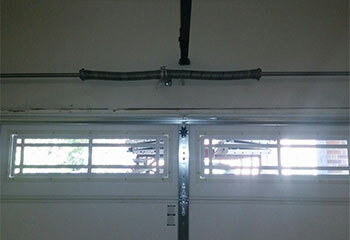 After a successful replacement, we also checked the system, making sure the new springs distribute the garage door’s weight evenly upon opening and closing. Customer Issue: Old and noisy garage door opener. Our Solution: Mr. Gibbs told us he was looking for a new model he could control using his Iphone, so we recommended Chamberlain WD1000WF WiFi Garage Door Opener. We installed the unit and instructed Mr. Gibbs on how to use it. Customer Issue: Old garage door. Our Solution: We first came over to go over the options, measure the garage, and see what Mr. Larson was looking for. We recommended Clopay’s Classic model with windows added, and the installation took place several days later. We tested the door and the parts to make sure everything was perfect.